Had a great time painting at Montrose Spooktacular on Halloween night. Thousands of people came out to trick or treat on Honolulu Avenue. Oh, the great costumes we saw and the faces we painted! I drew a mask on a beautiful little girl and her picture ended up in the local Patch web site. I just really got into spiders today. We had the opportunity to take a class with Annie Reynolds before she went back to Australia. We loved the new techniques she taught us. 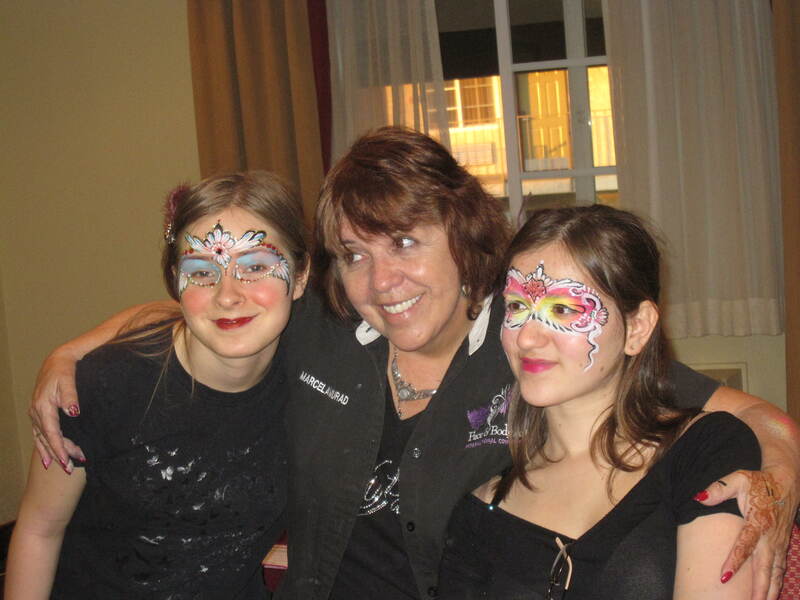 We also got to meet Lynn Jamison (known for her incredible face painting on Tom Cruise). 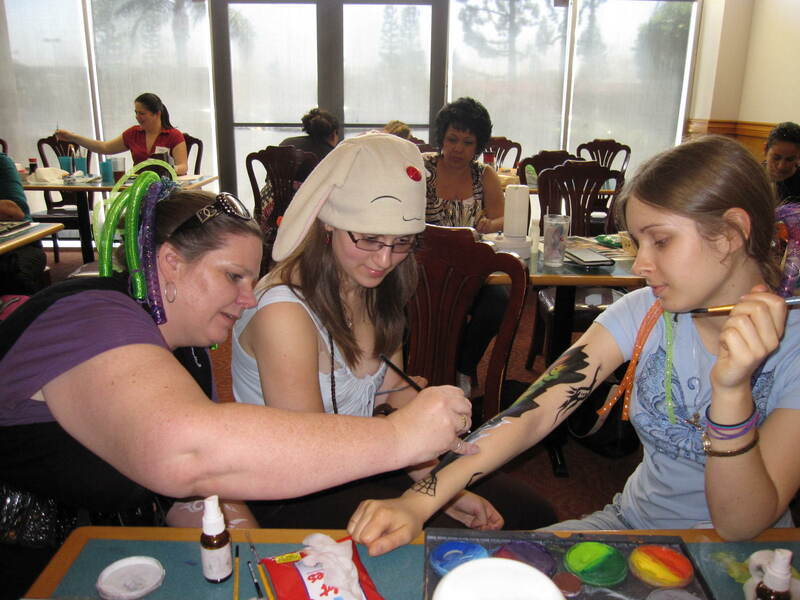 We are soooo lucky to have had the opportunity to take a class with Marcela Murad – highly successful clown, face painter, creator of the Face and Body Art International Convention and owner of Silly Farm face painting supplies. Plus, oh my goodness, who knows how many awards. Best part of Marcela – she is a wonderful, wonderful person. We learned so much from her. We love you Marcela!